The risk of fraud is not covered by standard property and liability insurance policies; neither are RINs considered “goods” under the Uniform Commercial Code (UCC), so the UCC’s warranty provisions do not apply. Starting in 2011, EPA launched a series of investigations and prosecuted millions of dollars’ worth of fraudulent RIN transactions after finding that so-called producers of renewable fuels had not actually produced the amount of renewable fuel claimed in RIN transactions. EPA then sought to address the potential for fraudulent RIN transactions by encouraging third-party verification of RINs generation. To that end, EPA enacted a Quality Assurance Program (QAP) under which third-party auditors evaluate producers of renewable fuel to certify they are, in fact, producing the required product in compliance with RFS regulations. The RINs certified under this voluntary program became known as Q-RINs, and the Quality Assurance Program provides the Q-RIN owner with an affirmative defense, limiting or excusing the owner’s criminal culpability or civil liability. The success of the QAP has been limited. Only about 12% of all RINs are Q-RINs because the process is expensive and numerous administrative steps are required for any party replacing RINs, claiming an affirmative defense to an alleged civil violation, requesting corrective action, and notifying EPA of the existence of a potentially invalid RIN. Therefore, market participants have relied on other risk-management strategies: only purchasing RINs from parties who have long-established and trusted trading relationships, implementing their own auditing processes, or only purchasing ethanol-based RINs. This development has hurt smaller renewable fuels producers and reduced the RIN market’s overall liquidity. A recently-introduced solution to this problem is to insure against the risk of fraud, creating a risk-free RIN known as a Platinum RIN. This insurance can be bought by any party in a RIN transaction, enabling biofuel producers to increase the number of buyers they can sell to, and allowing marketers that assume RIN invalidation risk in sales contracts to offer clear title. For refiners incurring significant RFS compliance costs as obligated parties, Platinum RIN insurance reinforces their due diligence programs at a relatively small additional expense. The beneficiary of the insurance is the owner of the RIN, the policy Loss Payee. First-party fraud is excluded – so a fraudulent party will not be able to make a claim – but the policy has a Multiple Insured Clause which means that even if the original insured is responsible for the fraud, a separate and unrelated third party (usually the obligated party) can still benefit from the coverage and be paid as the Loss Payee. 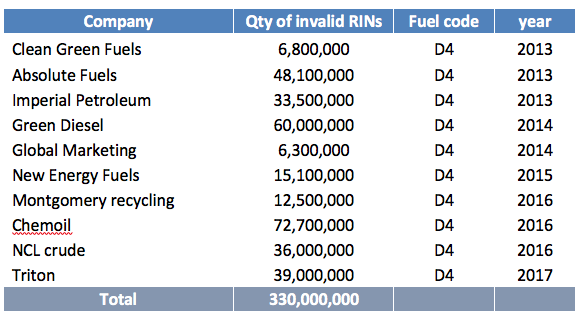 The pricing reflects the relative exposure to loss: firstly, between RINs and Q-RINs (a Q-RIN can be insured at a reduced cost); and secondly, between fuel types (D3 to D7). The policy will be underwritten by investment-grade insurers with a minimum rating of A+ (S&P), completely removing the invalidation risk and associated civil fines and penalties. The coverage matches the invalidation triggers defined in the RFS regulations, eliminating the invalidation risk over a three-year period by replacing the insured RINs at future market prices. 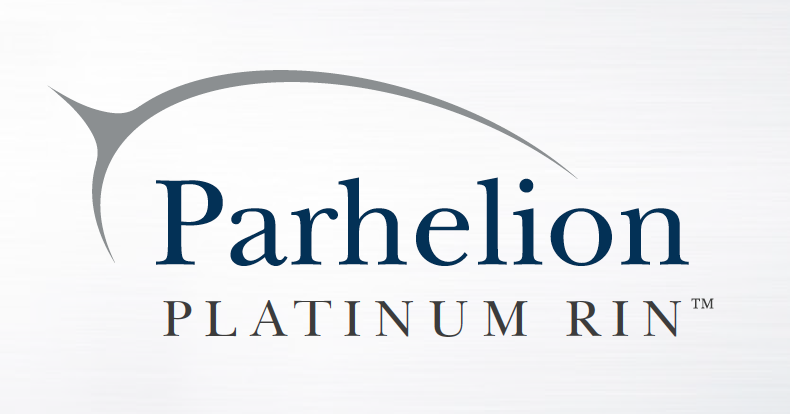 The program, managed by Parhelion Underwriting, is flexible: policies can be purchased by any participant, and the coverage travels with the covered RIN. Furthermore, although Q-RINs can be insured at a discounted rate, there’s no requirement for a QAP; the Platinum RIN can be a cost-effective alternative to a Q-RIN. Treatment of Invalid RINs Code of Federal Regulations, Title 40, Chapter 1, Subchapter C, Part 80, subpart M – Renewable Fuel Standard – § 80.1430. Code of Federal Regulations, Title 40, Chapter 1, Subchapter C, Part 80, subpart M – Renewable Fuel Standard; The Clean Air Act as contained in the United States Code, 2013 edition.